Indian cricket captain Virat Kohli has opened up about his actress wife Anushka Sharma yet again, calling her a big motivational factor in his life. Kohli may be battling professional misfortune, with the Royal Challengers Bangalore (RCB) going through a meltdown in the ongoing Indian Premier League (IPL) 2019, but personally he is in a very good space. Kohli revealed a lot on how his life changed for the better after marriage to Anushka Sharma. The celebrated cricketer was in conversation with South African cricketer AB de Villiers for IPLT20.com after the RCB's first win of IPL 2019 at Mohali, when he said: "I think over the last more than a year or so, the best thing to have happened to me is me getting married. It's literally changed my whole world. I have the most beautiful wife, the most beautiful person." 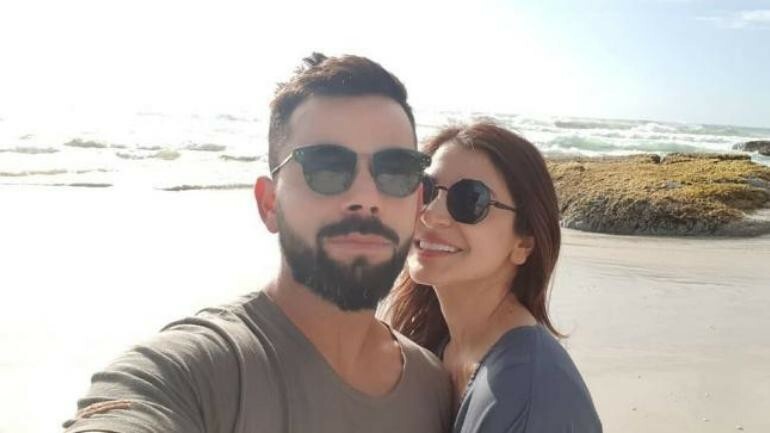 Virat Kohli went on to emphasise how Anushka Sharma helps him switch off after work, adding that he looks forward to spending time with her at the end of the day. She motivates him and helps him stay positive, he added. "That has been the most strong factor in my life to change the way I was," said Kohli, adding, "Before, I was too intense in life and she always keeps me motivated, positive but at the same time we spend quality time with each other and totally get away from the game and that's the most important thing. I think I couldn't have been more lucky to have someone like that who can understand my mindset being in that position herself. I look forward to spending time with her and that's how I switch off." Virat Kohli and Anushka Sharma dated for a few years before getting married in December 2017 in Italy. Watch the video here of the AB de Villiers' interview of Virat Kohli.